We hope you all had a wonderful summer holiday and are fully recharged for the new year ahead. Playgroup NSW is delighted to welcome everyone back to our amazing playgroups. 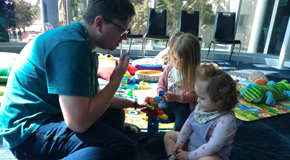 With the free Playgroup NSW membership offer, we have brought the warm and nurturing playgroup experience to thousands more families in NSW in the past few months. We're constantly striving to get more benefits for our members. 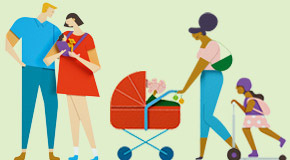 Have a look at our website to see what you're entitled for with Playgroup NSW membership. 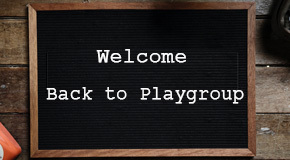 Again, welcome back to playgroups and wish you all a great play time in the new year! Kids might not like it but their teeth need to be brushed. 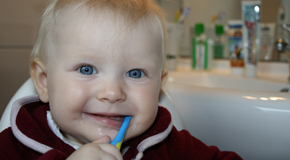 Try out these 8 tips to make the teeth brushing less struggling for your little one. 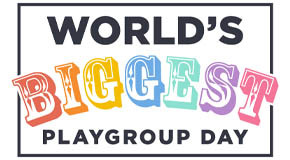 World’s Biggest Playgroup Day 2019 will be bigger and better than ever. Exciting entertainment line-up including Lah Lah’s Big Live Band, The Beanies and the very lovable Hey Duggee is slated for our main stage at Lighthouse Gallery. In addition, there will be a full range of fun activities for the whole family including hands on play with an amazing range of LEGO DUPLO and Crayola products as well as a special chill out zone sponsored by BabyLove and much, much more! Pre-registration is open now. Hurry up to register today and start to plan your big day out at World’s Biggest Playgroup Day 2019! Did you know you may now have a My Health Record? My Health Record lets you manage your family’s health information securely online and choose to share it with healthcare providers. In an emergency, doctors can access important health details like allergies, medications and immunisations when time is critical. As a parent, you are probably your child’s favourite playmate. But do you know how to play with your little one? Here are six pointers for parents who are not sure how to play with their young children. Happy babies make for happy parents. 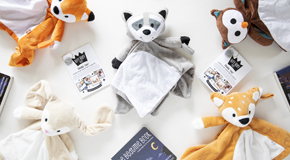 Riff Raff & Co sleep toys have been specifically designed to appeal to 3 main sensory cues babies and toddlers rely on for comfort and self-settling. Combining this powerful tool with a calming nap and sleep routine, your little one will learn to fall asleep and resettle independently. Riff Raff is offering two (2) Happy Baby Bundles for our member lucky draw this month. Competition closes on 28th Feb 19. So, hurry up and grab one of the happy bundles (value at $80 each) for your bub. This month, Dreambaby® is giving away a bumper prize pack with all useful gadgets designed to make life easier and safer for your little ones. 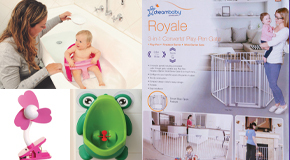 The prize pack (value at $275.75) includes a Royale 3-in-1 Converta® Playpen Gate, Deluxe Bath Seat in Pink, Stroller Fan, and the new invention Dreambaby® Pee-Pod Urinal for little boy toilet training. Would you like to join our Playgroup NSW's family? With many exciting projects ahead, we're looking at expanding our team. 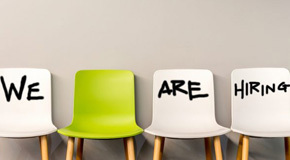 Have a look at our current vacancies and we can't wait to hear from you!